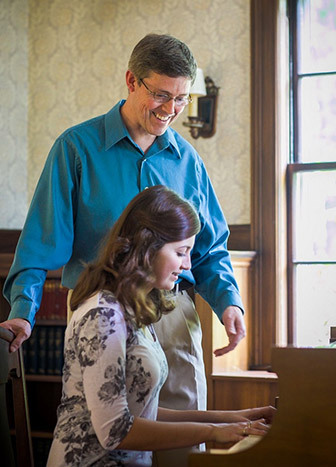 Erik Entwistle offers piano lessons at his Sanibel, Florida studio. Students are accepted on an open-enrollment basis. Thirty-minute weekly lessons are recommended for the youngest students, while older or more advanced students benefit from hour-long sessions. Intensive study, with two or more meetings per week, is also available. Please contact Erik for more information and to schedule a complimentary consultation and trial lesson by emailing erik@erikentwistle.com or calling 239-395-0339. Learn more about Erik’s teaching philosophy. Help is also available for choosing a suitable instrument.